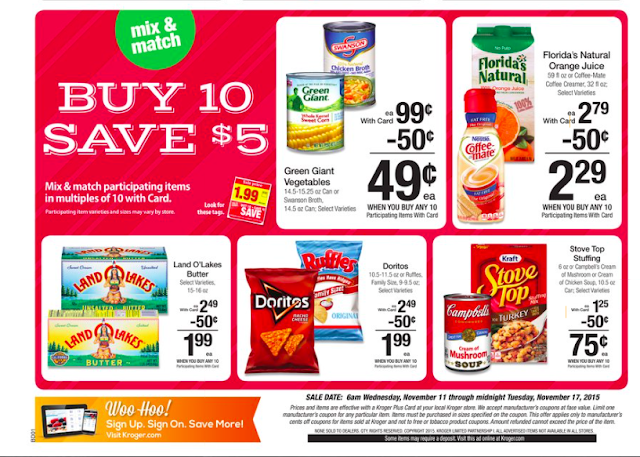 Kroger Ad Preview Starting 11/11! Wk 2 of the MEGA SALE! Get your coupons ready for week 2 of the Mega Sale starting tomorrow 11/11! Make sure to change the preview to your local store. I live in Michigan and so prices will vary from region to region! What are you most excited for? I am looking forward to cheap Wheat Thins, as they are $1.79 (part of the mega sale) and there is a $1.25 Mobisave rebate, making them just $0.54! Stay tuned for matchup's coming soon!